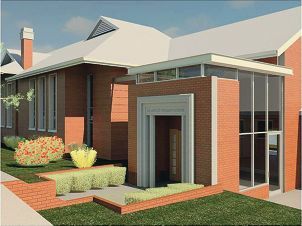 Artist’s impression of the new Mt Lawley Primary School. The workshops will discuss possible alternative launching practices and facilities along the foreshore once the ban is in place. In December, councillors agreed to prohibit dinghy storage on the foreshore, citing a proliferation of dinghies, environmental degradation and limited public access to the riverpark as the reason for the ban. The City of Melville and local environment groups backed the decision, and agreed the ban would be phased-in to give owners enough time to remove the boats and find alternative storage. Phase one is already under way, with the City erecting signage advising dinghy owners of the important dates, including May 31 for the removal of all abandoned dinghies on the shoreline, and July 1 next year for the total prohibition of dinghies. The City will hole two community workshops next week to clear up any confusion with boat owners, the first on Wednesday, May 8, and the second on Saturday, May 11. The workshops will be used to discuss the best way to manage transport and launching requirements of dinghies into the future, once full prohibition begins. Melville Mayor Russell Aubrey said the main reason for prohibition was to restore the natural foreshore environment, ‘which has already been impacted negatively’. ‘Additionally, we want to improve opportunities for all the community to be able to access the foreshore unobstructed,’ he said. However, the ban has split the community, with some Bicton residents saying they liked the boats banked on the shoreline and wanted them to stay. ‘It’s part of the history,’ Ian said.